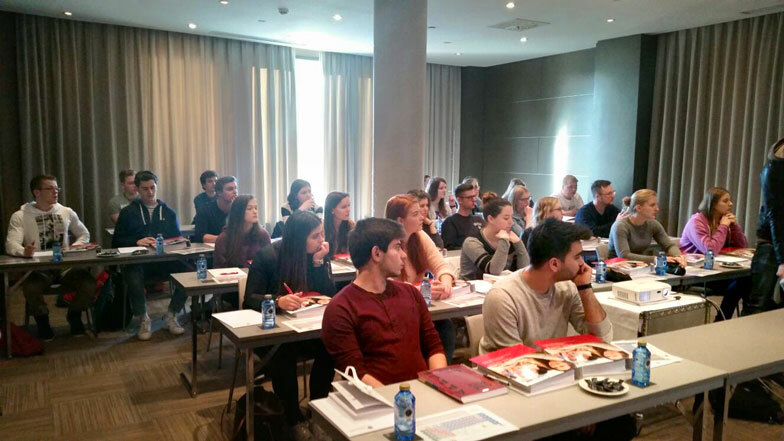 This Monday, the first pre-med course 2016 has started – more specifically the ICI Intensive Course “Pre-Med”, which is taking place in Alicante, Spain, for many years. For the first pre-med course 2016, 30 future students travelled to Alicante in order to get prepared for the start of their studies and/or English admission exams at European universities. On Monday all participants were welcomed and the pre-med course began with the subject biology this week. Lecturer of this subject is RNDr. Jozef Židzik, PhD, who is working at the School of Medicine at the Pavol Jozef Šafárik University Košice in Slowakia as a Senior Research Scientist and where he teaches the preparatory courses for more than 10 years. He also already taught at the Iberian College International before and was able to prepare the students in biology classes last year very well. Next week will be characterized by chemistry and the last week physics will be taught. We wish all course participants a lot of success for the rest of the course. 1 responses on "First Pre-Med Course 2016 Begins"